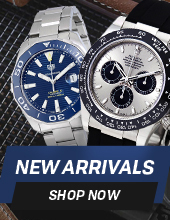 Watches are timeless and classic accessories that make you appear more stylish. And when these watches come from the house of Tissot, you surely get to enjoy a certain amount of dignity when you wear them over your wrist. Tissot is a Swiss luxury watchmaking company that was established by Charles-Félicien Tissot and his son in 1853. 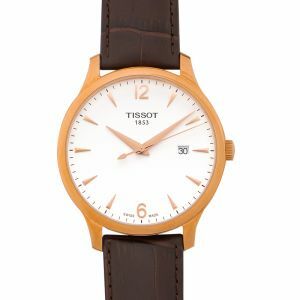 Like most Swiss watch companies founded in that era, Tissot began life as a comptoir, an assembler of parts procured from individual makers in the region. 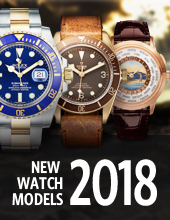 Today, the watches sold in more than 160 countries are authentic and accessible. They are characterized by special materials, high-tech and advanced functionalities, as well as meticulous design. 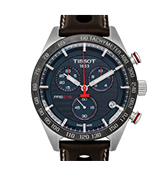 The company stands by its slogan, “Innovators by Tradition.” The plus sign in the logo symbolizes the Swiss quality and reliability Tissot has shown since it started. In addition, the high caliber of the brand has been repeatedly recognized through their creations. 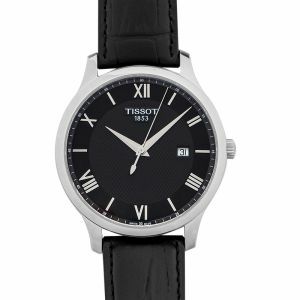 This men’s Tissot watch is a stunning timepiece. The watch has an extremely sleek style, and all the lines present in it are quite prominent. The dial of the watch is of bold black color, and the watch itself is enclosed inside a silver case. It has a black leather strap along with a buckle clasp that allows a firm grip on the wrist. This watch looks fantastic particularly because of the charcoal grey color that contrasts well with the strap color. It is water-resistant till a depth of about 100 meters. The case measures 41mm and is made of stainless steel. Meanwhile, the dial window is made up of sapphire. 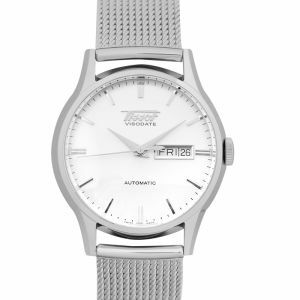 People who want a classic-looking analog Swiss watch should definitely invest in this watch. As understood by the name, this is essentially a watch that has a sporty look. It has a chronograph present on the inside. The watch is made using stainless steel and has a silvery appearance. Meanwhile, the dial of the watch is electric blue which gives the watch a sporty and stylish look, which most of the young generation wants to wear today. The markers (4, 8, and 12) of the watch are depicted by Arabic numerals. The silver index hands of the watch suit the dial aptly. The presence of the chronograph and the tachometer raises the quality quotient of the watch. There is a second-hand present on the watch as well. 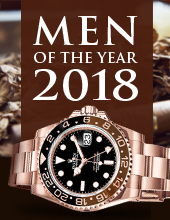 The watch appears to be made of good quality materials and is actually heavier than most other watches available in this price bracket. It is suitable with casual wear or even with sharp suits. This watch is a complete beauty and immediately gives the wearer a great feeling of being fashionable. It appears to be luminous in nature, and the silver looks of the watch give it an entirely classic appearance. The design of the watch is quite elegant too and appeals to all generations. This timepiece carries the traditional styling blends that work really well with the modern looking watches. 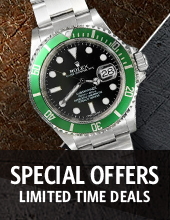 This watch is resistant to up to 100 meters, making it suitable for deep sea diving. It has a solid black case and is completely scratch-resistant as well. It is an extremely stylish watch; you will definitely not be able to take your eyes off of it. 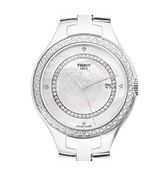 Now, let’s look at some Tissot watches that women can surely show off! 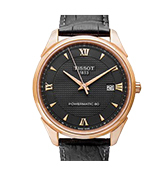 This new Tissot Antimagnetique Heritage is based on a specific version of the Antimagnetique that was made by Tissot in 1943. The two are not completely identical, but the new version borrows a lot of design elements from its predecessor. The case is nicely constructed and comes in a 42mm polished stainless-steel case. The crown at 3 o’clock is well-sized and provides an easy grip. The lugs are straight and slightly angled for better wearing comfort. The watch has a black or brown leather strap that is fairly comfortable on the skin. 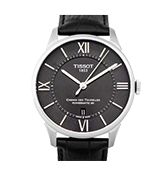 The Tissot Antimagnetique Heritage comes with a domed sapphire crystal and has a silver dial. Its hours are marked by large Arabic numerals in an attractive black sans-serif font. Overall, this watch has been executed thoughtfully, making it extremely charming. 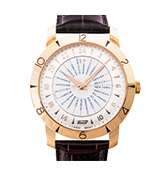 Tissot Couturier Automatic is a sophisticated modern watch with a rose gold-plated case finished to a mirror polish. The broad, shapely lugs and flat bezel ensure that the rose gold finish has plenty of space to flash. This watch also comes with a black alligator strap. The dial is simply elegant, featuring a brilliant black sunburst finish with a contrasting hour’s index ring. The dauphine hands, date window, and applied indices carry on the rose gold theme. Tissot caps the watch off with a beautifully decorated movement including a custom black rotor. The T-Classic Lady Heart Automatic offers timeless style and a glimpse into the watch’s open heart simultaneously. The softly rounded contours of the main case are smoothly elegant, and work well with the Art Deco-style stepped curved lugs. The dial is similar to the standard T-Classic as it features a mother of pearl dial surface, mix of gold applied indices, and numerals. Inside the accent ring, there is a contrasting black center, while the 12 o’clock end is dominated by the five-petaled rose shaped open-heart window, which displays the oscillating balance wheel and movement plates behind its golden leaves. 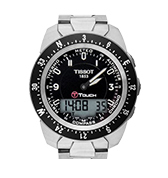 Want to buy Tissot watches online? Now that you know the top Tissot smartwatches available, you might be tempted to buy one. 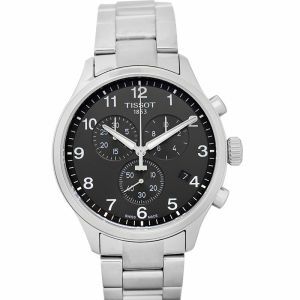 So, go ahead and finalize your most desired model and shop for Tissot watches today. 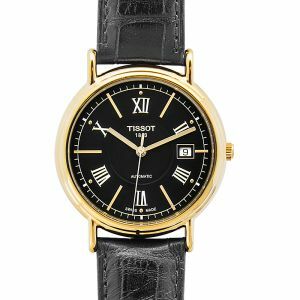 When it comes to a classic watch, Tissot’s collections should definitely be a part of that conversation. 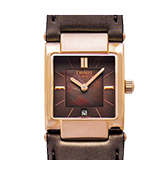 A brand that respects the beauty of classic watches, the T-Classic collection is a great example of fine craftsmanship. Always holding accuracy and quality as their focus points, the T-Classic is perfect for someone who is looking for an everlasting piece. 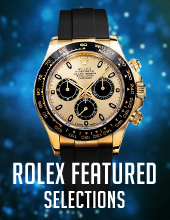 Other top collections include T-Gold, T-Sport and Tissot Heritage.